This 14 page 8.25 inch x 11.75 inch full color brochure was published by Car Advertising Department, Ford of Britain. 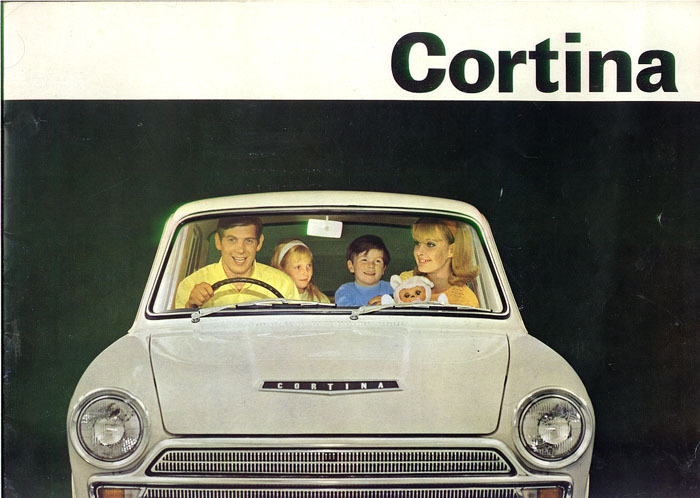 It is un-dated, but I believe it is from 1965, as it shows the full width grille, and advertises the new 'Aeroflow' heating and ventilation system. The full color, full-size pictures inside are wonderful. And then there is the cover! 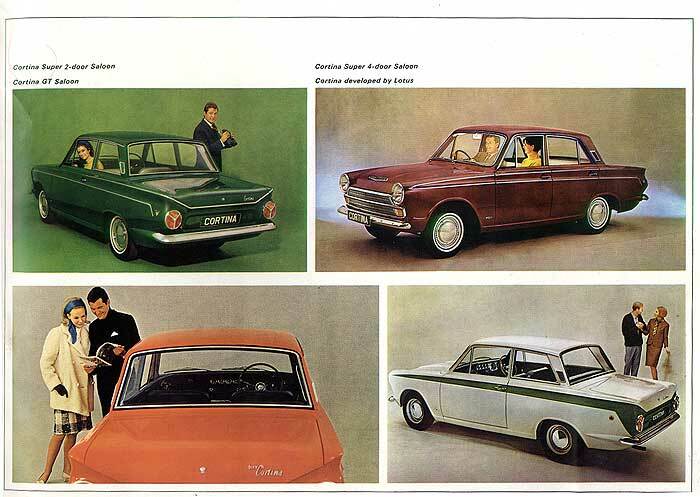 The only mention of the Lotus Cortina, is a small 1/4 page image found on page 11. (See below.) Otherwise, it is not mentioned in text, or in the specifications listing. The brochure is no longer available new, and must be found on the used market.